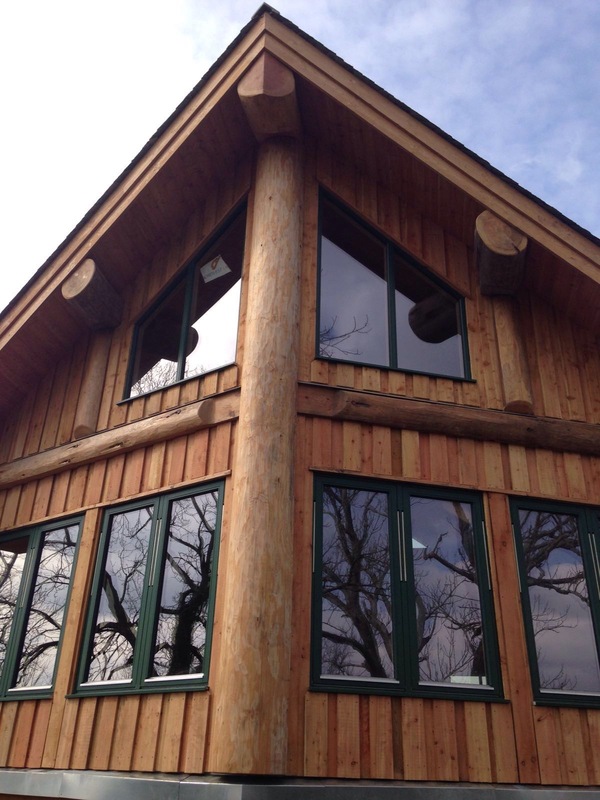 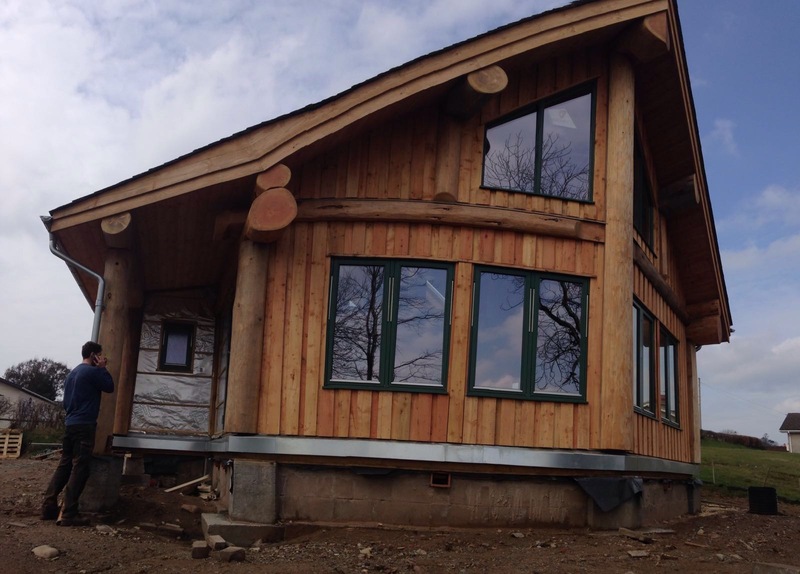 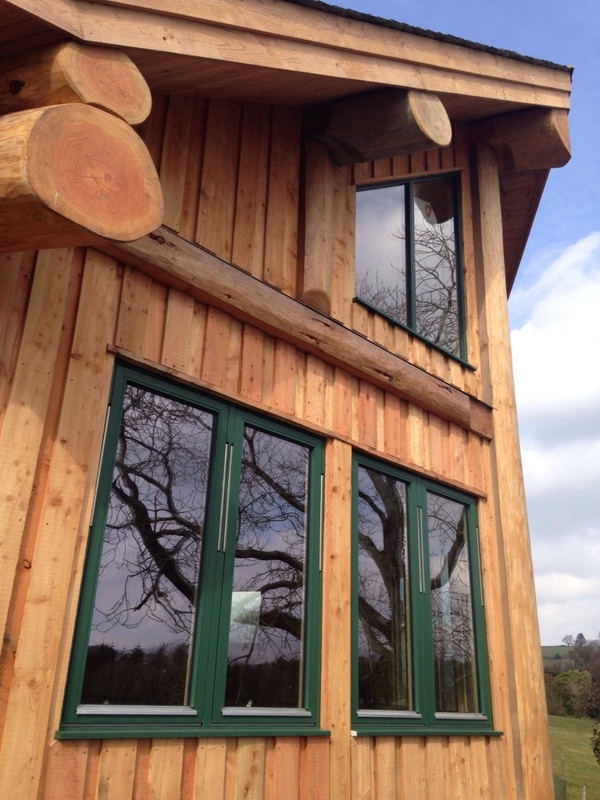 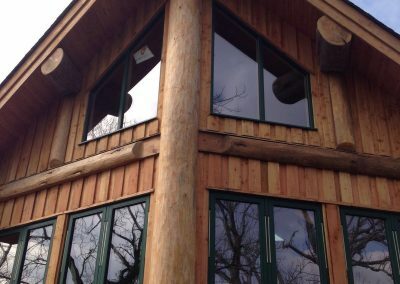 Built on the edge of the Lake Ditrict National Park this post and beam log home faces up the Wasdale Valley. 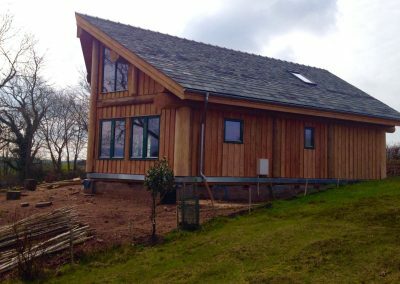 The stunning roof line mimics the English mountains in which the owners Tim and Helen spend much of their time. 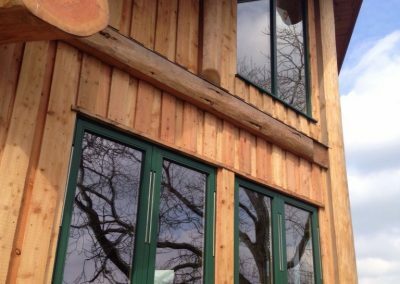 The Douglas fir post and beams work brilliantly with the rough sawn larch cladding and the galvanised gutters and flashings. 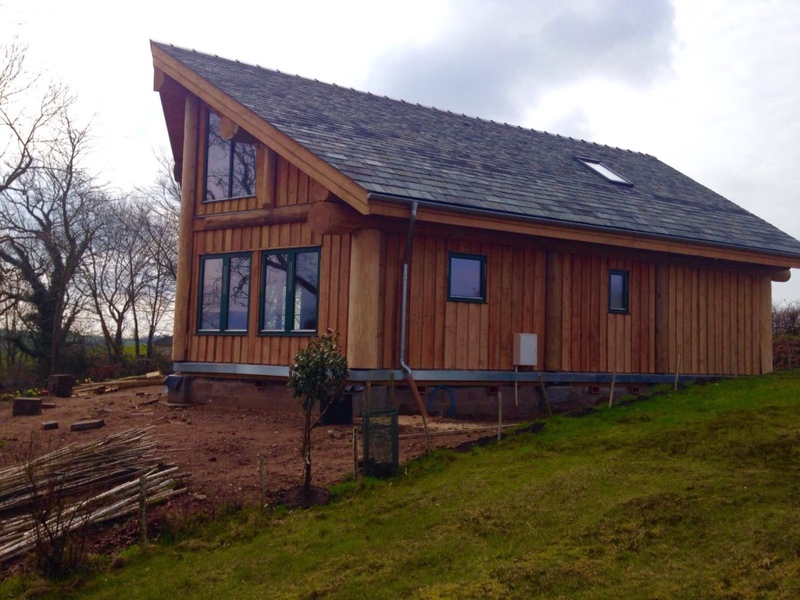 Taken to weathertight by our team we can’t wait to see how Tim and Helen finish off this amazing self build.